A striking presentation of 19th-century gouache and watercolor archival paintings of New Orleans neighborhoods, this volume presents what old, renovated, restored, and new buildings not only might look like, but how they should look. 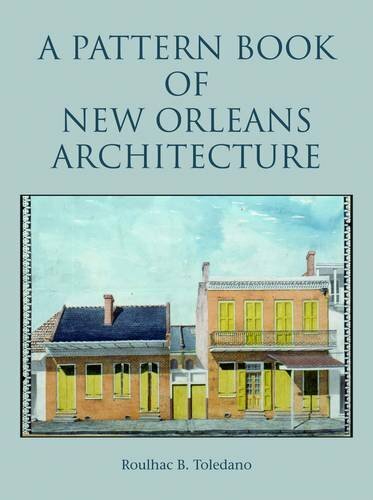 Organized by type of house, ranging from the French colonial plantation home to the Creole cottage, the American townhouse, and a variety of shotgun styles, this handsome book examines the characteristic elements of each architectural style, along with information about the materials and techniques used for original construction. Also included are chapters covering the history of the archival drawings, neighborhood plans, and information about the surveyors and engineers who designed this unique and beloved city. An award-winning author of more than a dozen books, Roulhac B. Toledano is a prominent lecturer and an authority on historical architecture. She is the recipient of the American Institute of Architects International Book Award and works as an artist, writer, and preserver of historic American treasures.